A limited number of autographed copies of my now out-of-print children's picture book Watch Me Do Yoga are available on the Watch Me Do Yoga facebook page for orders within the US. If you are outside the US and would like to buy a copy, please send me an email. Kids love the bright images in picture books, stories they can identify with, and rhymes they can remember. And kids want to do things they have seen their parents do. Most of all, kids yearn for approval and attention, and what better way to come by it than Watch Me Do Yoga. In this delightful book, a little girl tells us about her yoga practice as she does poses with her dad, her mom, the family dog, and somethimes alone on her mat. We see her in the garden, on the patio, in her bedroom, and even sitting on a gigantic lotus. She stands like a tree or a mountain and imitates the actions of animals -- a fish, a dog, a lion, a tortoise. She celebrates her connection with the life around her and wants her parents (and us) to watch! Bobby Clennell's engaging text and lively illustrations encourage kids and their families to have fun reading together and practicing yoga together. I was thrilled to receive this book, Watch me Do Yoga by Bobby Clennell. I immediately gave this book to my friend and co-worker Lynda who has a grand daughter and they both read the book and Kayla agreed to demonstrate just how easy these poses can be for a child (not so easy for the rest of us however). I loved this book - loaded with beautiful illustrations and with poses that are adapted for children. If you want your child to discover and enjoy yoga at a young age, then this is the perfect book for you. 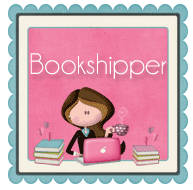 — Tina Avon, Bookshipper, October 1, 2012. Bobby Clennell, certified Iyengar Yoga teacher, artist and former animator, has created a picture book that appeals to younger children, age two to eight. Watch Me Do Yoga conveys how valuable yoga can be for younger children and how it can be a natural part of their lives. On the pages within, a young girl experiences yoga asana as she goes about her daily life. She practices yoga in her home with her family, with her toys, and even with the family pets. Sometimes her surroundings become part of her discovery of yoga. She sits and meditates in a giant floating lotus flower. She copies a tortoise's shape and posture as he is encased within his shell, and she discovers Kurmasana. Clennell believes that it is through this sort of enactment that children discover how they are part of the big world. Children may be exposed to the ups and downs of life. The world can be overwhelming for them. She says that the exposure and experience of yoga asana gets under their skin and gives them tools to help them navigate their world. Clennell believes that yoga is the greatest gift we can give a child. A cheery yogini practices yoga with her dad and mom, and the family dog, in this charming book. Written and illustrated by an Iyengar Yoga teacher, the story encourage(s) kids to try 12 poses, alone or with their parents. Watch me Do Yoga is absolutely wonderful. Actually, that should be my entire review because it does describe the book perfectly. I discovered yoga in my 40's.....and I have often wondered how beneficial yoga would have been for my as a child (both from a physical AND mental point of view). This is one of the reasons I think this book is so important, not to mention timely. It is definitely children friendly — with great color illustrations of the basic poses. Very well define and easy to follow, this book is both a joy to watch/read and use as a practice tool for any child who is curious and interested in yoga. Now — parents and child can practice their poses together in a safe and serene environment. I loved, loved this book. Watch Me Do Yoga traces a child's yoga practices and poses through her day, illustrated with exquisite pastel sketches that bring life to yoga poses or vice versa. She practices with her parents, her dog, and alone on her mat or outside with a tree. She always finds the connection to the natural world though her yoga practice. She enjoys celebrating this special connection and showing off to her loving parents. Watch Me Do Yoga is both vivid and instructional, providing stimulus and encouragement to parents and children for yoga practice together. I'm giving Watch Me Do Yoga to my niece for her third birthday, but I'm having a hard time letting it go! The clever rhymes and delightful drawings by talented author and illustrator, Bobby Clennell, are so appealing — the child in me loves this happy, playful book! Children of all ages will relate to the way the young girl practices with her mom, her dad, her dog... and asks them to "watch me do yoga," just like real-life children do! I'm looking forward to reading this book out loud at my niece's birthday party, and using the story as a starting point to practice yoga with her and her friends. Suza Francina, mother of two grown children, preschool teacher and Early Childhood Educator, Certified Iyengar Yoga Instructor and author. Two favorite activities in our house: 1. reading books with Lucien and 2. practicing yoga. What better combination than a children's book about yoga? Watch Me Do Yoga isn't a children's asana instruction manual. It's a story about a girl who incorporates yoga asana — in a natural way — into her daily activities around the house. She stands in the garden and shows her father Tree Pose; practices Mountain Pose with her mom upstairs; shares a Downward Dog with her dog before taking him for a walk. Later on, while our young yogi naps, she dreams about meditating on a lotus blossom. The illustrations are appealing and bright, the family scenes relatable. Lucien laughs at the teddy bear who follows our narrator around, and cracks up when the teddy bear practices Savasana at the end of the book. What do I love most about Watch Me Do Yoga? After a half dozen reads this past weekend, Lucien is practicing Lion's Pose...something I didn't try until my late 20s!  Jessica Berger Gross is the author of enLIGHTened: How I Lost 40 Pounds with a Yoga Mat, Fresh Pineapples, and a Beagle Pointer (Skyhorse). She lives in Vancouver, British Columbia with her husband and two-year-old son. For me, yoga has always been about monkeying around! I just get on my mat, and I play. I think: Can I make this shape? Yes, but not without falling over. Can I stand up if I do this? Nice try! Not today. I approach my asana practice as an experiment  a game even  and I usually can delight in the outcome. Yes, I know that mindfulness, meditation, philosophy, history, therapeutics, tradition, and so much more is important, too… but if I'm really being honest with myself, I like to practice the physical yoga because I think it's fun. Children are amazing teachers. They look at the world with awe, and see limitless possibilities everywhere. Personally, that's the attitude I strive for when I get on my mat. I'm working toward finding that attitude in the rest of my life, too. A couple of weeks ago, I got a children's book that reminded me of all of these things. 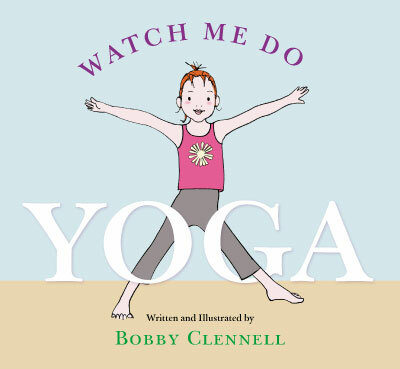 Watch Me Do Yoga (2010, Rodmell Press) is a darling book illustrated and written by Iyengar teacher Bobby Clennell that beautifully captures the child-like spirit of exploration and joy that practicing yoga can elicit. Children will love it because of the cute illustrations and the many invitations to mimic animals and nature. Parents will love it because it provides a fun and creative way to spend quality time with their children. I loved it because it reminded me to appreciate the little, simple things — something that kids do so naturally. Written and Illustrated by Bobby Clennell. Berkeley, CA: Rodmell Press, 2010. ISBN: 978-1930485-266. 32 pages. $15.95. Watch Me Do Yoga is pure delight. Bobby Clennell's joyful rhymes and vividly clear drawings of a little girl discovering yoga with her family and pets will captivate the reader, regardless of age. Children will enjoy the beautiful illustrations and numerous items to identify along the way. Even the little girl's teddy bear participates, sometimes doing a pose and at other times as an observer, making a final appearance in Savasana. Bobby Clennell teaches at the Iyengar Yoga Institute of New York and holds an Intermediate Senior I certification. She is a former film animator whose love of drawing and yoga has blended together in this creative artistic form. Her last book, The Woman's Yoga Book: Asana and Pranayama for All Phases of the Menstrual Cycle, is a valuable resource for teachers and students, containing her detailed drawings and sequences to assist women during their menstrual cycle. I believe this new light-hearted children's book of yoga for fun will be a favorite for many, and one that will be enjoyed over and over. The vivid illustrations and lively colors of the animals, like lions, fish, and tortoises, beckon the reader to participate. Give a small child in your life the gift of yoga by introducing this book to him or her. I believe you will enjoy the opportunity to play along and will be glad that you did!